Membership in the Museum’s NEW Dirigo Circle is made up of individuals who make gifts to the Museum totaling $1,000 or more annually. These giving leaders are like the North Star to the Museum. Their gifts lead the way for others and allow the Museum to chart a course towards a vibrant future. Dirigo Circle supporters typically make their gifts over and above their annual membership support. 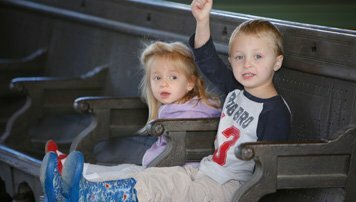 Those who are not already members will receive a complimentary family level membership that provides free admission and other benefits. Make your leadership gift today!